You have 1009 characters. Don’t forget to add important and relevant keywords in your description to improve your iTunes app page and optimize your SEO. Your app's last version was released on October 07, 2017. It is important to regularly update your app. Best practices recommend to update your app every 4 to 6 weeks. This means fixing reported bugs, improving existing features, launching new features etc. Keep an eye on users' feedback. The next great features may already be asked by many users. 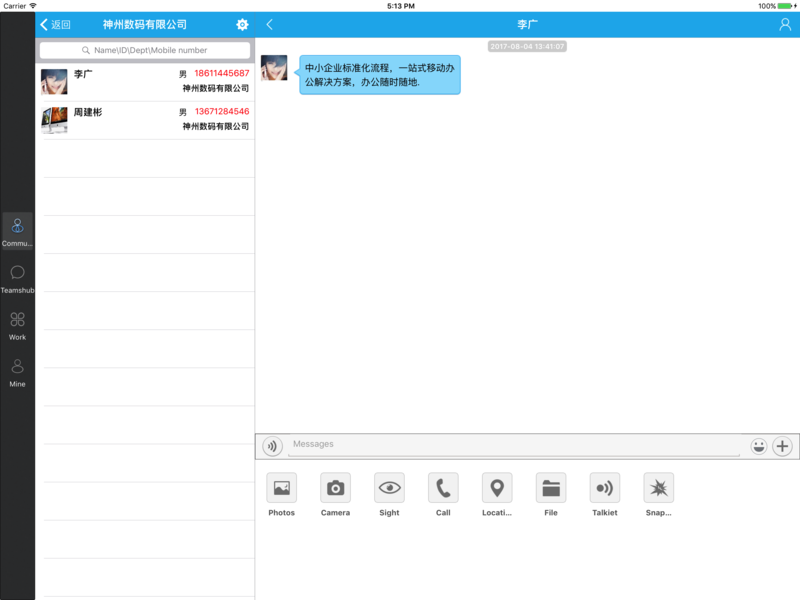 Teamshub, as team communication new ways in mobile Internet era, change the traditional IM and network phone, message status at a glance, gurantee important messages arrive. Combine Mobile Internet telephony and traditional telephony, save money, access, efficient. Mobile phone address book, new colleagues at any time to find, old colleagues need not store, unified update. You can punch clock with your mobile phone! don't queue up, won't be late! don't worry about, very easy! Distance couldn't face to face communication, never mind, video conferencing, to create a conference without walls. What steps does the contract approval go to? directly inquiry system on the mobile phone. Flexible enterprise APP center, business official website a key generation, business is no problem. Teamshub born for SME, save money, make money for enterprises!